Loved our stay. Close to everything. Dockmaster Pete is wonderful too! Definitely going back. The marina crew provided excellent service and quite helpful. Walking distance to many downtown restaurants and shops. We will definitely be back. I had to purchase ($288) and arrange for delivery of an adapter for my 30A shore power cord, they did not have any available. 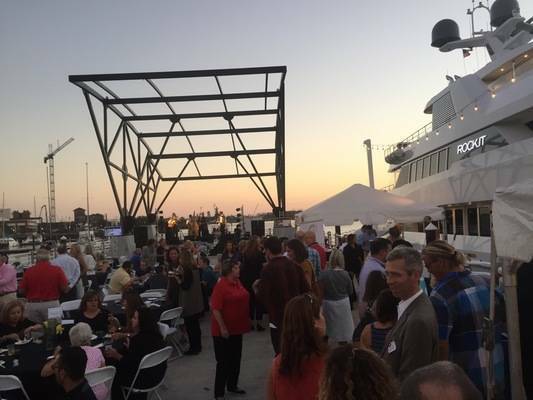 The showers and Bathrooms were in a trailer on the opposite end of the marina. The slips are large and very well built. Our stay was terrific, great location, helpful staff, cheerful neighbors. Would have given 5 stars if there was a proper toilet and shower facility, there were only trailers and after 2 years there really should be proper facilities. That is out of the hands of Pete and the other folks working there though, the staff was great. Dockmasters and security (Taylor, Scott, and Dwayne) were a lot of help docking and offering help anytime. New floating docks, dog friendly. Loved the location—easy walk to downtown restaurants, tours, and shops. Only complaint is restroom restroom/shower, which consist of a small trailer with 3 individual rather cramped rooms. Each room contained a very small shower stall (really, as small as the one in our 34 foot vessel), and a toilet with small sink wedged into corner. The toilet pumped out into holding tank below, not attached to sewer system. Nothing to hang or place clean clothes/towel on except for toilet. Don’t believe there is laundry. The rest of this marina is modern and gorgeous, but restroom facilities are woefully inadequate, especially for price (equal to other marina’s with real restrooms, laundry, and community gathering place. I would suggest lowering transient dock rates until larger, more permanent support facilities built. Staff (manager, dockmaster, security guard) were very friendly and helpful. There is a security guard there all night. Dockmaster helped us tie up and gave us a choice of several slips. Floating concrete docks and nice pedastels were great. The dockwa page showed they had gas fuel, but they don't - at least not now (March 18). 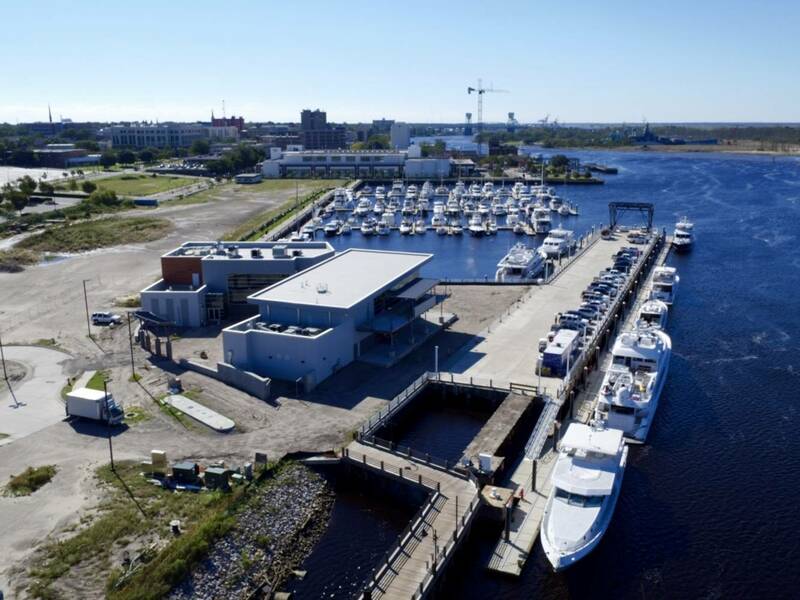 Stop at the Wilmington Marine Center on the way up the Cape Fear River for fuel so you won't have to back track if you want fuel before you dock. The lack of fuel was the only disappointment. Location was great - can easily walk to town for food, shopping and lodging. 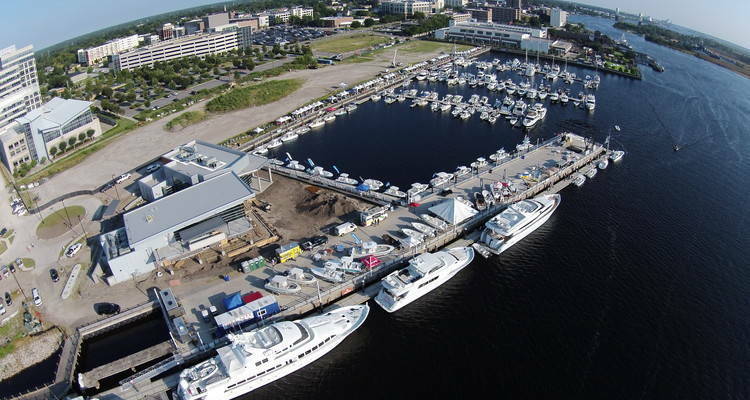 A marina with great potential. They have a beautiful set up but just "unfinished". Super helpful manager and staff. We had 3 Dock hands ready to help us come in. The docks are very nice and we had great wifi. They had a pump out boat that comes around several days a week. They did have showers but be aware they are in a trailer. You have to hold the knob on for water to stay on and we had trouble with the showers draining. When we mentioned it to the staff they fixed the drainage problem immediately. Also their fuel docks are out of commission until maybe January. 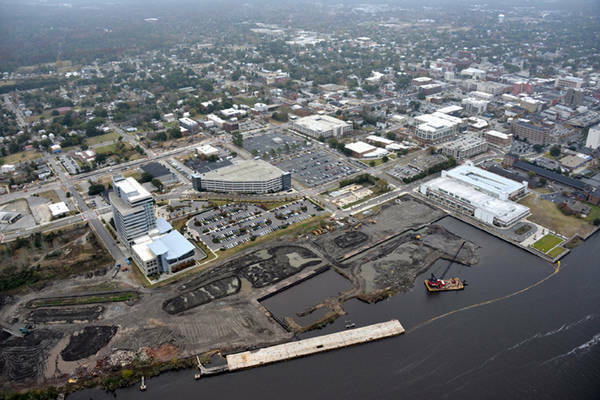 They had to move the fuel docks for the channel to be dredged and that has not happened yet. No laundry facilities. Short walk to downtown and there is a free trolley that runs every 20 minutes. Wish the best to Pete and his staff. I think they will make this a top notch marina. Very nice marina. Super nice people, and customer service. Was having water issues on my boat, so we needed to use the shower ashore. The marina is evidently not completed, so they have temporary facilities. Absolutely the worst shower I have ever had in my life. Really bad. You spend $102 to tie up for the night, you should be able to take a decent shower. This morning, I opted to just use the hose on the dock, and showered off in the cockpit of the boat. 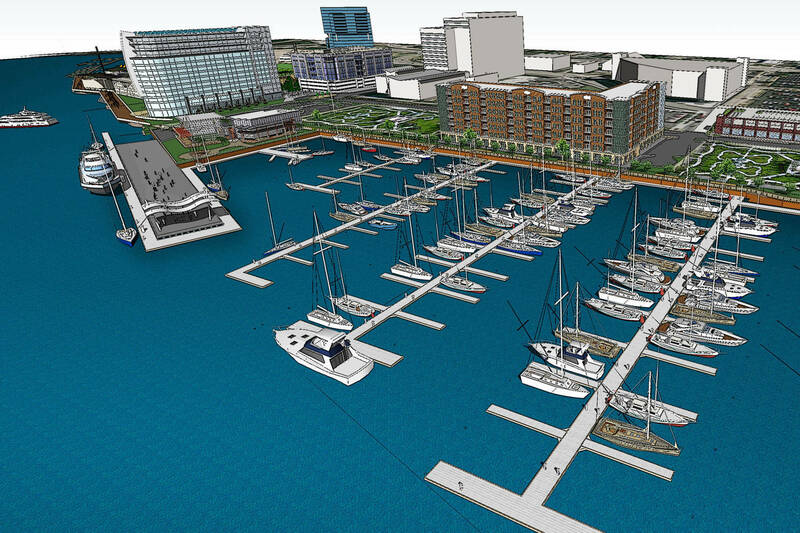 I am sure the marina will be first class when they complete the dock house, but not right now. The Port City Marina is a protected, deep water, full-service marina in Wilmington, North Carolina with over 200 state-of-the-art floating concrete wet slips and a full complement of first-class amenities and services for boats and boaters of all types. 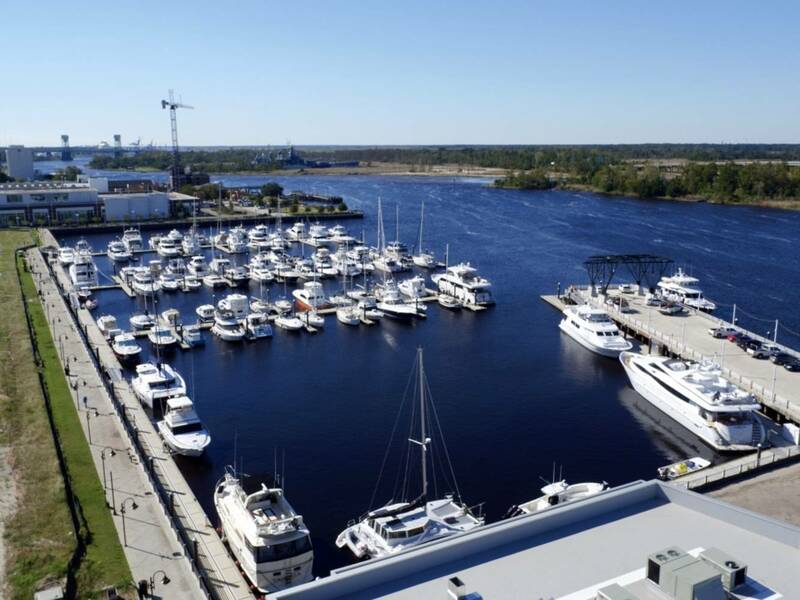 The marina can accommodate boats up to 400 feet with deep draft slips along the Cape Fear River. 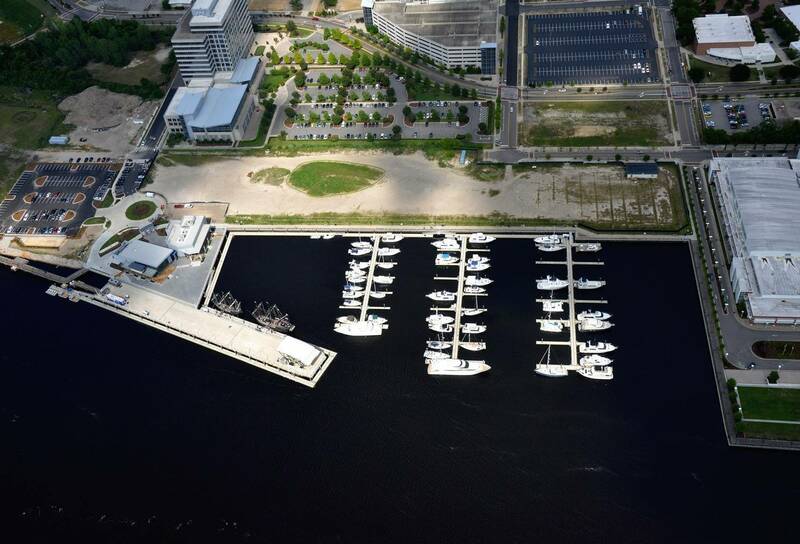 The marina is situated in the heart of downtown. You can walk to restaurants, check out the thriving downtown art scene, or explore the boutique shops. 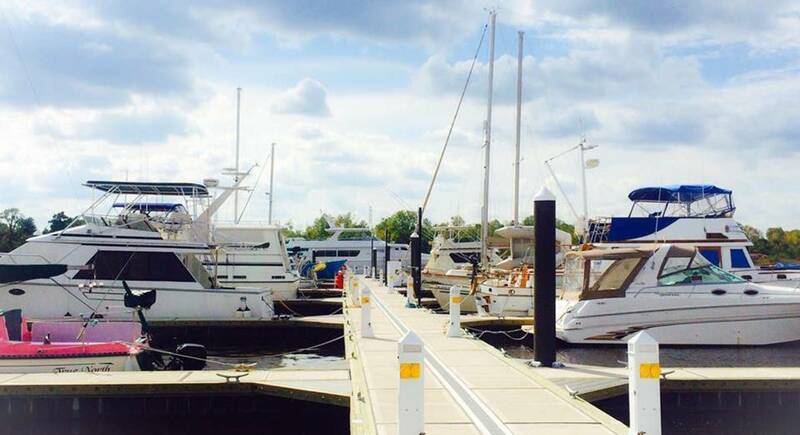 The marina is conveniently located just 3 miles from the Wilmington International Airport. Whether you fly commercial or your own aircraft – you can be relaxing on your boat in less than 10 minutes. Convenience at its finest. 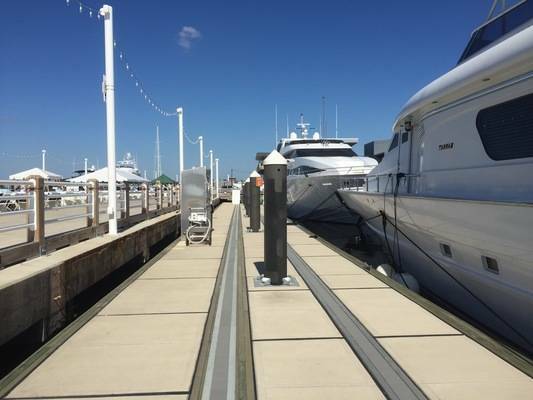 All vessels under 30ft are subject to a 30ft minimum rate, all dates.